Suzuki, the Japanese automobile industry, has recently launched a scooter in the month of April. This unisex scooter has been launched by the company after receiving huge success of 'Access 125'. The scooter is named as "Suzuki Let's". Since the launch of this new vehicle, the scooter has acquired more than 15,000 bookings in different cities of India. This is the smallest scooter introduced by the company in the list of Suzuki India's line-up models. According to Mr. Atul Gupta, Executive Vice President at Suzuki Motorcycles India Ltd. has recently mentioned about the sales of Suzuki Let's, that it has already crossed over 15,000 bookings, since its launch in the month of April, 2014. He also added that the company is under the process of launching the Let's scooter all over across the India. The scooter will make its availability among all the cities since 16th June. Let's Suzuki is powered by a 4-stroke, air-cooled, single-cylinder, SOHC, 2-Valve engine which produces a total power of 8.7Hp @ 7,500RPM and a maximum torque of 9.0Nm @ 5500RPM. The engine displacement given by its power plant is 110cc. The engine of this scooter is mated with a CVT gearbox. 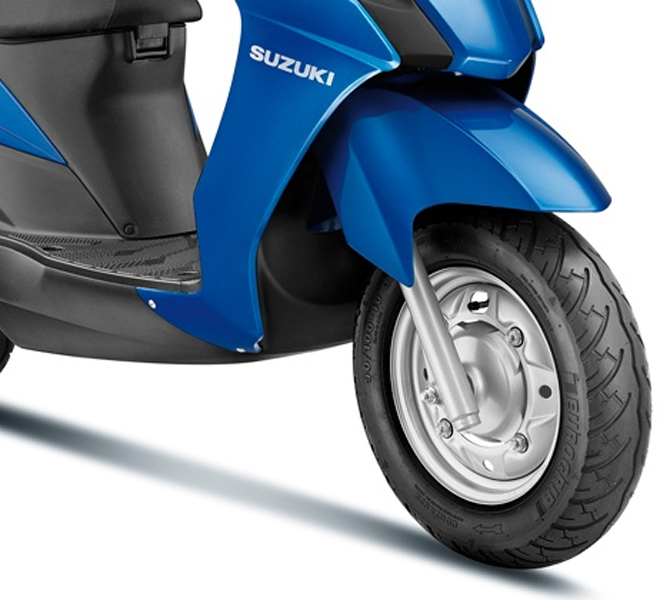 The Suzuki Let's gets a Telescopic fork suspension in the front and mono-shock at the rear. The company also claimed that the Let's scooter is a fuel efficient scooter, as it gives 63Kmpl. Suzuki has also introduced the Suzuki Eco Performance (SEP) Technology to make its ride more comfortable, smooth and efficient. 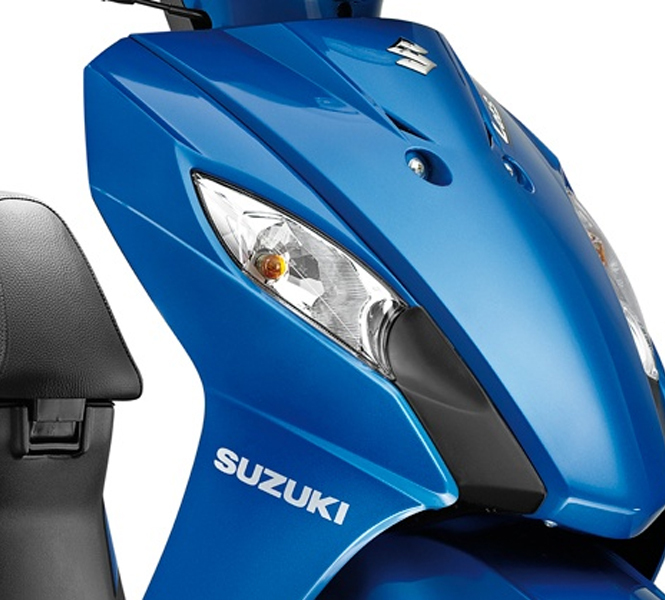 Suzuki Let's has come up with multiple attractive colors like bright Red, shiny Blue, white, dusky silver and Black. The company has recently launched the Suzuki Let's models in Nepal with the price tag of RS 99,046 and 500 units of the line-up models has been already sent to the country. 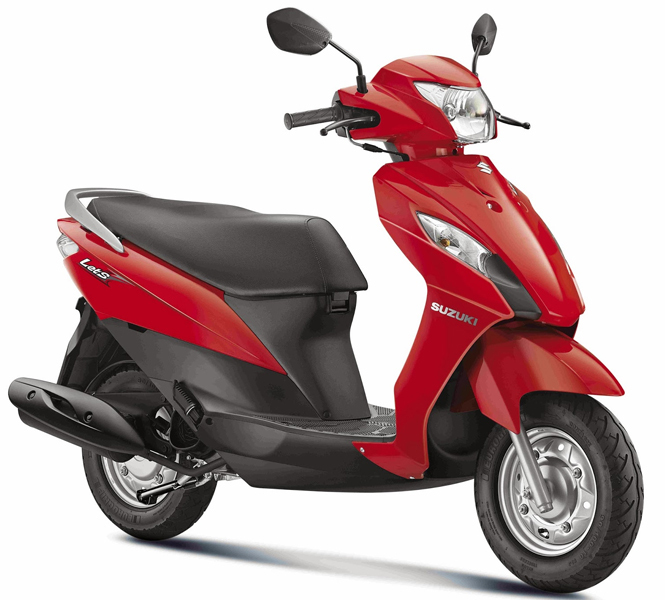 Suzuki Let's will give a tough competition to Honda's top-seller Activa scooter which is India's first choice ever. 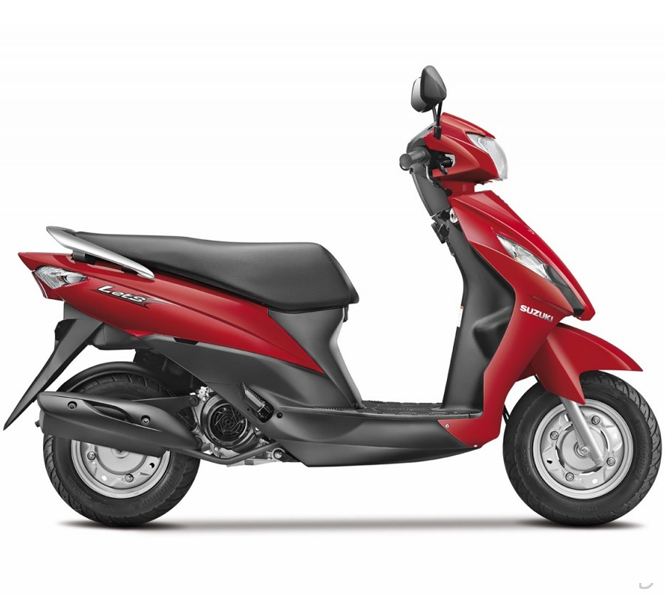 When launched in Chennai, Tamil Nadu, the scooter is being priced at Rs 46,925 (Ex-Showroom Chennai Price).